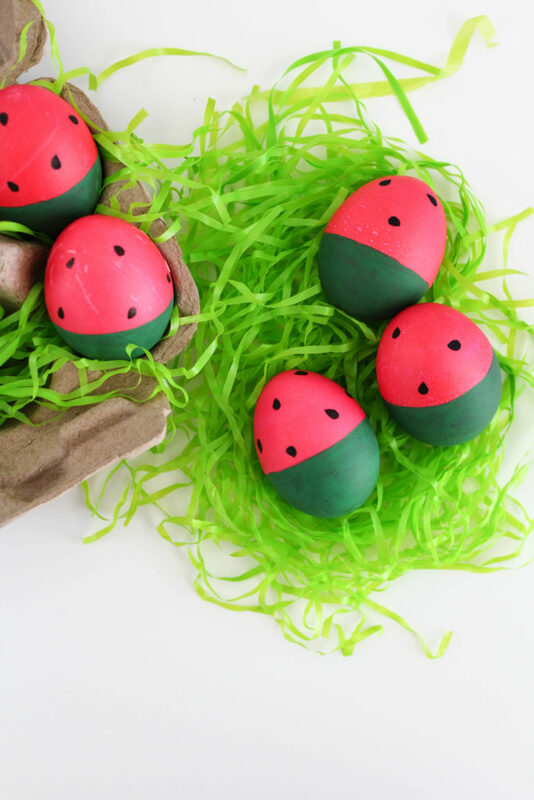 These DIY watermelon Easter eggs are a cinch to make and oh, so cute! The perfect addition to your Easter baskets this year. Check out the easy tutorial!